It’s been 33 years since Clemson fielded a men’s fencing team. The last year that Clemson sponsored fencing was in 1982, and that season was a special one for the Tigers. 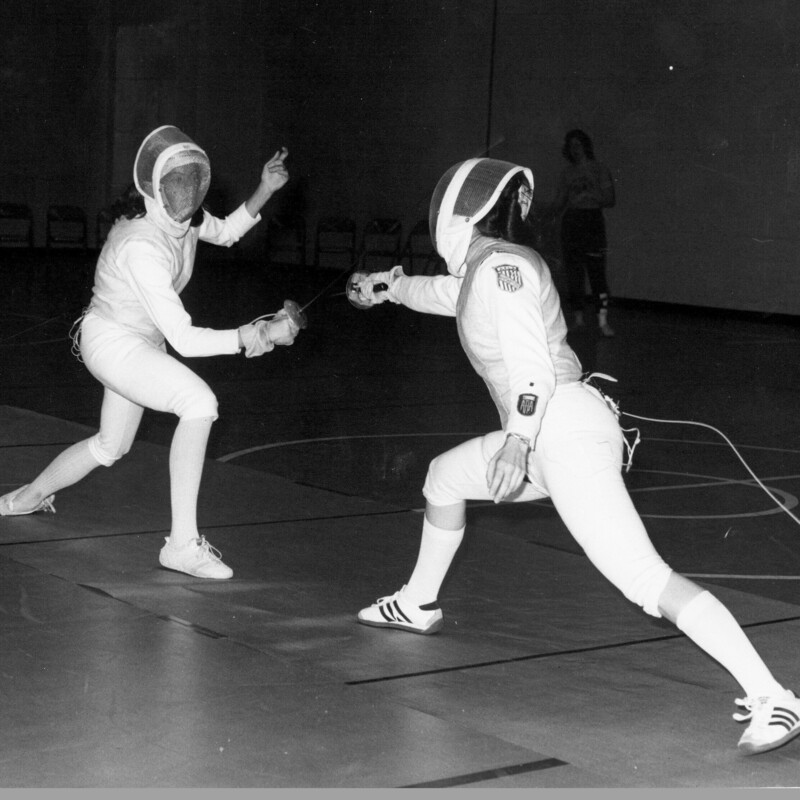 The fencing program began at Clemson in the 1960s. Professor Hal Cooledge of the Architecture Department started Clemson Fencing as an outlet for his students. Still considered a club program, the Tigers finished tied for 15th in the 1966 NCAA meet in Durham, NC. Cooledge joined the Clemson faculty in 1956 and retired in May 1996. During his 40-year association with College of Architecture, he was a well-respected teacher, researcher, and author. He was instrumental during the 1960s in the effort to restore Thomas Green Clemson’s collection of paintings and also funded a professorship in architecture. A Georgia native, Cooledge graduated from Harvard University. After World World II, he held a research position with an oil company until the Texas City Disaster in 1947, the deadliest industrial accident in U.S. history, which involved a chain reaction of fires and explosions that killed almost 600 people. He returned to graduate school at the University of Pennsylvania to study art and architectural history and taught at several other institutions before accepting his Clemson position in 1956. Music was one of Cooledge’s passions. He was considered a superb pianist and was a member of the Metropolitan Opera Guild. He was also cast in a speaking role as Dean Collins in “The Midnight Man,” a 1974 murder mystery movie filmed on the Clemson campus and in the surrounding communities. Although considered a club program, the Clemson fencing team had early success in the NCAA Tournament. Wayne Baker, a football player, was the first Tiger to place in the top 10 at an NCAA meet, finishing ninth in the Sabre in 1969 in South Bend, IN. The Clemson Athletic Department and the Atlantic Coast Conference started to sponsor men’s fencing in 1970. Clemson finished fourth as a team in the 1979 NCAA meet and ninth in the 1979 championship.The Tigers won the ACC Tournament in 1979. In 1980, Clemson was tied for fifth in the NCAA meet. Clemson finished fourth in the 1981 championship and an all-time high second place at the NCAA meet on March 16-18, 1982. 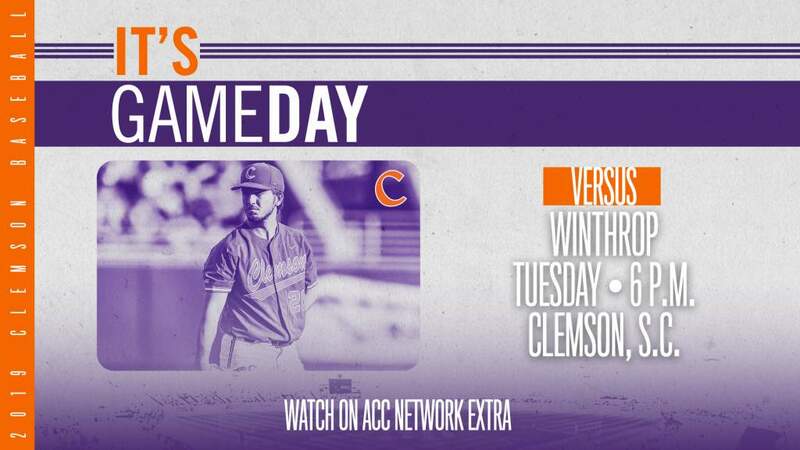 Clemson was 16-0 vs. the ACC in the last three years of competition. In the last four years of the program, the Tigers were 56-7 in dual match competition. Poteat was the National Coach of the Year after guiding the Tigers to a second-place national finish in 1982, the final year of the program. The team finished in the nation’s top 10 for the last five years of his tenure. They also finished in the nation’s top five four out of the last five years the Tigers fielded a fencing team. They won the Atlantic Coast Conference Tournament in 1979. Poteat’s Tigers defeated his opponents by an average score of 19-8 over his last four seasons. He finished with a career record of 89-22 in eight years as the head fencing coach at Clemson, for a .802 pct. It was a very successful program at Clemson. 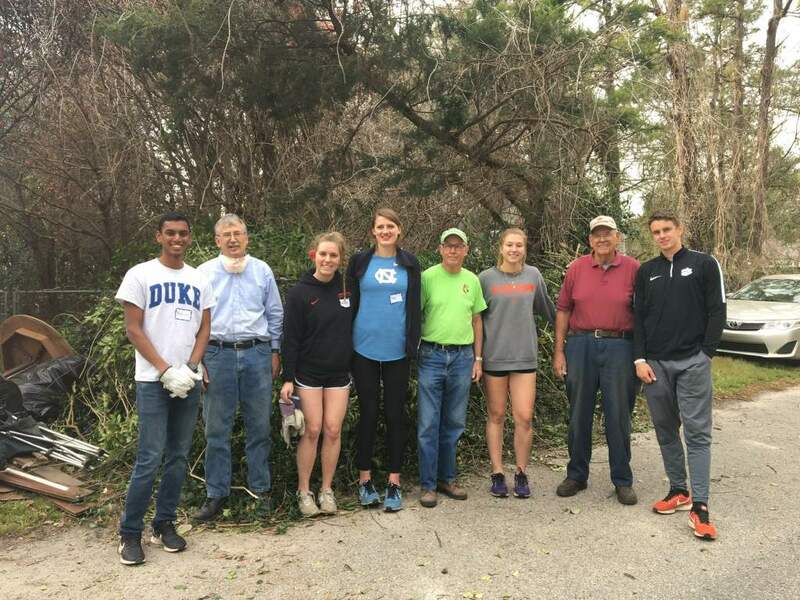 After he left Clemson, Poteat went to Lincoln Memorial University in the fall of 1984, serving as Head Resident at a dormitory, teaching physical education, and coaching men’s tennis. Poteat decided he would stay local and purchased a small farm in the Speedwell area that he quickly called home. Athletically, throughout nineteen seasons at the helm of the Railsplitter program, Coach Poteat’s teams reached the NCAA Men’s Tennis Tournament six times and the NAIA Tournament once, earning respect not only in the Gulf South Conference as one of its top programs, but also throughout the entire southeast United States. During the 2004 spring season, which turned out to be his last, Coach Poteat guided his team to a third-place Gulf South Conference Eastern Division finish, while completing the year with an 11-5 record, which ended in the NCAA South Regional Tournament. Poteat died of cancer on July 14, 2004 at the age of 54. On October 14, 2011, the tennis building at the Lincoln Memorial University Tennis Center was named in his honor. Steve Wasserman, a three-time All-American, reflected back on the program. “I guess I ended up at Clemson by accident,” said Wasserman. I had won the state championship in New Jersey my junior and senior seasons. I was also set to go to the University of Pennsylvania. I had heard of the Clemson program. Coach Poteat started recruiting me and I took a visit to Clemson. “I loved what I saw,” said Wasserman,(pictured above). “Clemson had academically what I wanted to study and when he offered me the scholarship, I accepted. I’m glad I made that decision. “In my senior season , we knew we had a good team. We had the people to compete. We believed we could compete for the National Championship.We had done well in dual meets and in the tournaments we had that year. 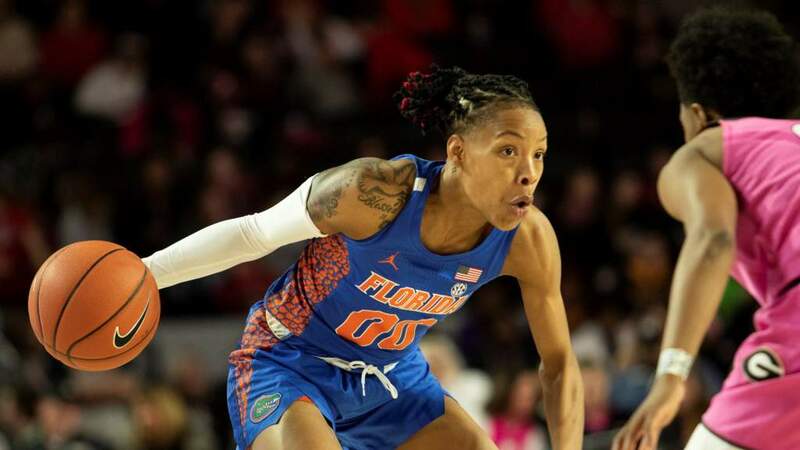 “We went to the NCAA National Tournament and we fell short. We finished in second place. It was a great year. Sure you want to win it all, but we had a lot of success that season. Clemson dropped the men’s fencing in 1982 after Wasserman’s senior season. The Tigers finished second in the NCAA meet, the highest finish for the program.